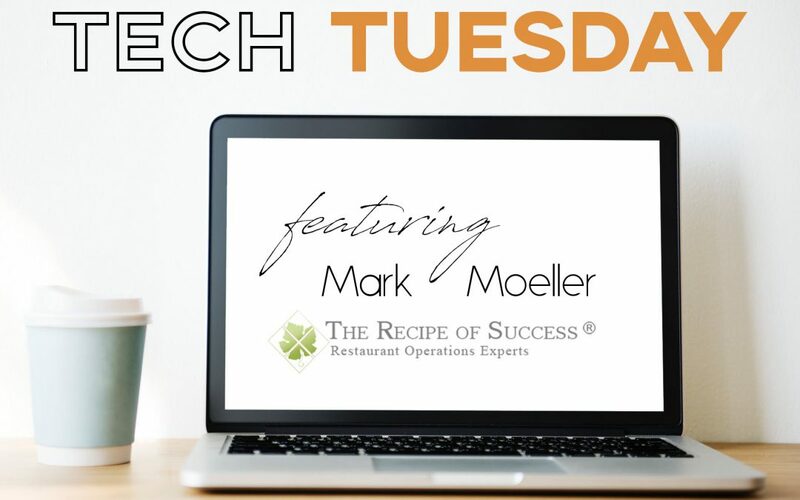 For the next few weeks, we will be featuring a few key questions about the technological shift in the restaurant industry from some of the best experts around. Keep an eye out for each post and be sure to read through their thoughts to see what you could learn to adapt your business and brand. The Recipe of Success is overseen by Mark Moeller, a 30 plus year veteran of hands on experience. He has spent 18 years in corporate and entrepreneurial organizations and is is an Operations Specialist with extensive experience in restaurant and retail startup, design, development and process and specializes in the fast food, fast casual and full service segments of the restaurant industry. 1. What is the next big thing for the 2019 restaurant industry? I believe the next big thing for the restaurant industry in 2019 and beyond is comfort. Many might say that comfort is neither new or big, I disagree. Comfort comes in many forms, for restaurants the focal point will be in the food. Comfort food is a “throwback” to when we would go to Grandma and Grandpa’s house, where the meal served was about the food and the simplicity. Often times the ingredients would be found in the backyard and picked fresh and specifically for that meal. We found comfort in this food because it was prepared with us in mind and out of love. The dishes were simple yet complex, it warmed our insides and made us feel whole. Comfort is also found in a locations interior design. Interiors that are warm and inviting, couple with today’s technology will blend seamlessly which in turn will round out our experience. The experience is what we are all after, leave us wanting more and craving to return. 2. Technology has been a primary focus for restaurants every year. What are your thoughts about utilizing tech tools in the restaurant world? I think technology utilization changes drastically depending on the concept and category in which the restaurant resides. I understand the efficiencies of tech tools like self-ordering though I personally feel that too much technology eliminates the human element from hospitality. Back of the house technologies however should be embraced fully especially when they can help manage the financial aspect of the restaurant’s business. A stern focus on purchasing and inventory systems should be an avid part of every restaurateur. It doesn’t make any sense to be “old school” when it comes to managing one’s finances. 3. What about social media – do you think having a social presence is important for a restaurant’s brand and identity and why? Social Media is vital to a restaurant’s brand. Social Media is today’s version “word of mouth marketing”. The last statistic I heard was that some form of Social Media is used by over 75% of population in the United States, with the majority in the 18-29 year old range. Guests of that age will help build a restaurant’s brand through words, photo’s and emotions, all basically for free. In fact they are actually paying you by eating in your restaurant to share their experience and then tell the world that they need to come there quickly. 4. What piece of advice would you give to any aspiring restaurateur? There are five foundational cornerstones that all aspiring restaurateurs need to apply. The first, have relevant experience in the type of concept they want to own and operate. The second, take business courses. You may know how to slice and dice an onion but if you cannot do that to your P&L, you most likely won’t be successful in the long run. The third is do not be undercapitalized. Make sure you have sufficient funds to not only properly build out the space but have sufficient funds to pay for all the operating costs (recruitment, pre-opening labor, pre-opening food/liquor, printing, utility deposits, etc.). The last two are the most critical and I’d hope, self-explanatory – always use common sense and do not have an unhealthy ego. 5. And a fun question! What’s your favorite meal? My favorite meal is Zuppa de Pesce.